This entry was posted on Thursday, January 8th, 2015 at 1:48 pm	and tagged with Charlie Hebdo, Greta Berlin, Israel, Jewish people, Mossad, Muslims, Nazi sympathizer, Paris and posted in Uncategorized. You can follow any responses to this entry through the RSS 2.0 feed. I have just read your reply to this Greta Berlin person regarding “Mossad – Paris link” (in her demented mind, at least), and it made me happy. Her insane rant(s) annoyed me. 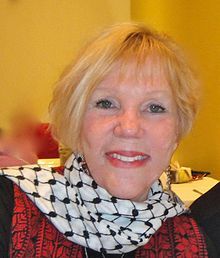 I dont know if Greta Berlin is antisemitic. It doesnt matter to me. (I agree w/ her politics and activism.) But what does matter? is that she is a LIAR on a personal level. this is someone who is shameless in her untruthfulness and dishonesty. Quite wild to watch her in action. She will just lie straight to your face, despite any and all evidence that she is doing so. Jarring how someone claiming to be fighting for justice can be so untrustworthy in person.